When I started blogging I had absolutely no idea what I was going to write about with the exception of how it felt to be in this place of limbo I suddenly found myself in, divorced from a long and successful corporate career and not quite certain what was next. I called the blog One Woman’s Eye because the one thing I was sure of was that I was going to share my voice and how I saw things in the world. In the beginning I wrote mostly about what I was feeling and noticing around me. At first I was terrified to hit the publish button. Sometimes I still am. I wrote about people I met along the way who inspired me like David Meerman Scott who I first met at NYU, with no idea that four years later I would be teaching at NYU and using his book with my Digital Marketing classes and Gloria Feldt who would become not just an inspiration but a friend. I wrote about things I discovered while wandering or people I met on Twitter like Claire Cook as well as conferences I went to and advice on things like what to do if and when you get your pink slip. Having a website gave me a home on the Internet. After waking up for so many years with an office to go to and suddenly not having one, my blog became my anchor on this journey. 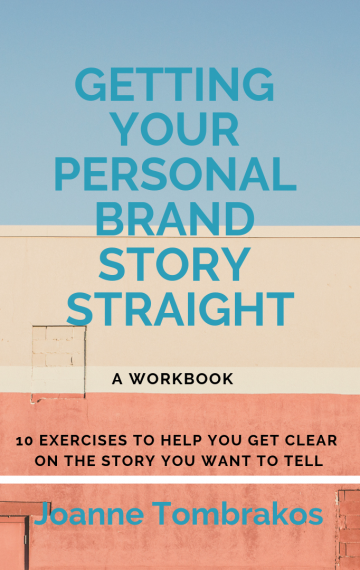 There have been times when I have written often and times – as of late – where I haven’t been blogging as much as caring for my newsletter which is a different kind of writing and very much focused on building my brand. Over time my writing evolved. 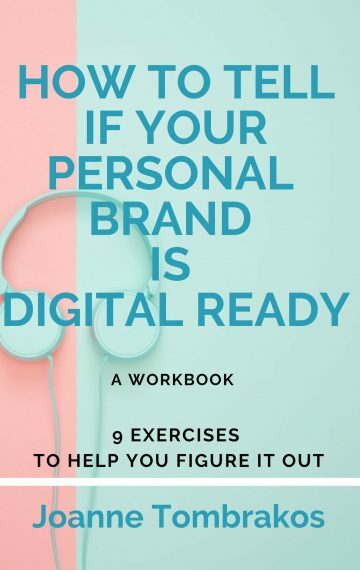 The more I became involved in the Digital space and the more clear the direction of my business became, the more I wrote about things related to my brand like personal branding online and how thinking like a great brand will improve your own. By the time 2016 rolled around I found it impossible to ignore politics and also wrote about things like how it’s impossible to keep politics out of social media. I never saw it as a chore. Writing fed me. I didn’t need anyone to tell me that the more I wrote the better I would get at my craft. Writing like art or meditation or yoga is a practice. But I’ve noticed lately that it is harder to sit myself down and decide what to write about. I keep a running list of ideas that include things not just related to my “brand” but I rarely am able to focus on just one. I promise myself that I will do what I tell my clients to and do what works and create an editorial calendar but it doesn’t happen. Seth Godin is one of the people I discovered in the early days. Seth’s ability to churn out content every day has always inspired me as well as how he sees the world. Seth does not need to worry about headlines that will engage because Seth’s followers are loyal and read pretty much anything he writes. 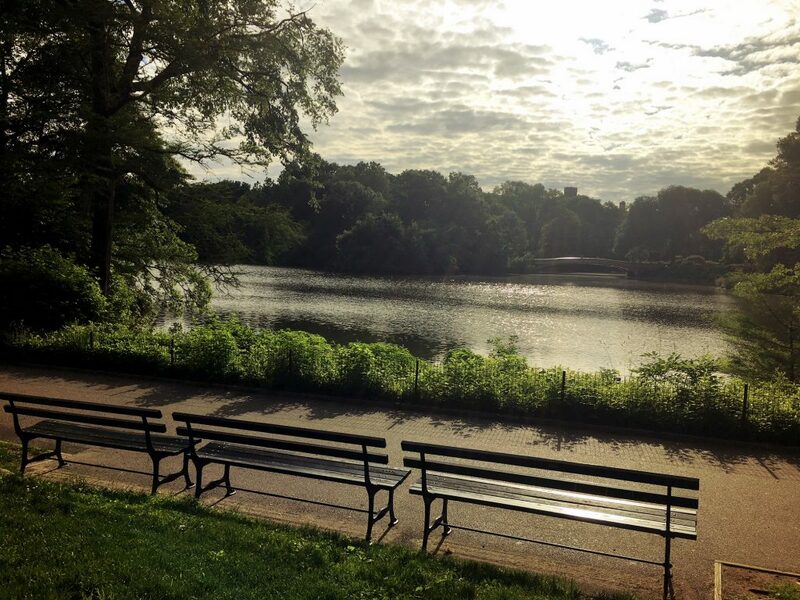 He launched a podcast this year that I was listening to this morning as I made my way through Central Park. This episode was celebrating his blog moving to a new platform so he shared his own history and philosophy of its purpose. He said he views his blog as a promise to keep to his followers, something that will be personal and relevant to them and perhaps in that way teach them something. He encouraged everyone to blog, to write something worth sharing every day. It got me wondering how I had gotten so far from using my blog as my anchor and home base. I didn’t start blogging with the intention of building my brand yet that is what happened and now I am wondering if my focus on that instead of the writing is why I have fallen out of my writer flow. I kept walking and listening and thinking and then I got it in the way things often get clear when I am on one of my morning walks. I remembered that when I tell people who I am and what I do, I always end that above all I am a writer, one who doesn’t just write about the business side of life, but as many writers do, to make sense of it. Yet I have let the later slide thinking it was not really part of my brand when in the end it is the essence of it.